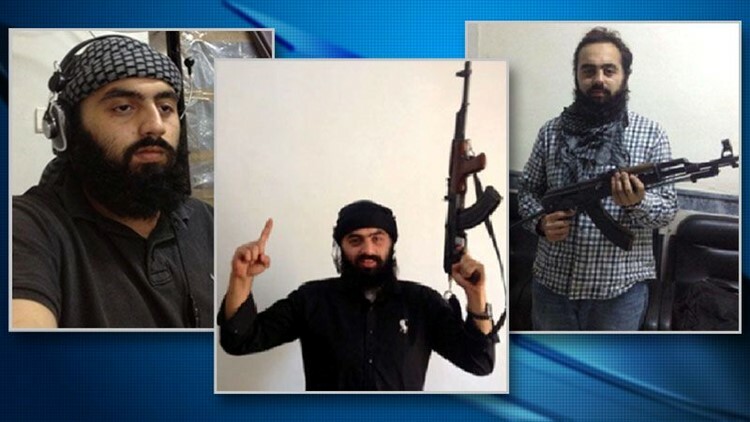 SAN DIEGO (AP) — A federal judge Monday sentenced a Syrian-American man living in San Diego to eight years in prison for lying to U.S. officials when questioned about knowing a member of the Islamic State group and for participating in combat against the Syrian regime. Mohamad Saeed Kodaimati, 25, appeared in federal court in San Diego where he was given the maximum sentence for making false statements involving international terrorism. Kodaimati denied knowing anyone in the extremist group or taking up arms when he was stopped in March 2015 on his way back from Syria and interviewed by FBI and State Department officials at the U.S. Embassy in Ankara, Turkey. He was arrested in April at his California home. Kodaimati later pleaded guilty to one count of making a false statement involving international terrorism. In his plea agreement, he admitted to knowing a member of the Islamic State group in Iraq and fighting alongside Al Nusrah, an al-Qaida-linked organization in Syria. After his arrest, prosecutors released photos of him allegedly holding an AK-47 in Syria. His lawyer, Barbara Donovan, said her client made poor choices after getting caught up in a difficult, complex situation in his war-torn country, where he had gone to see his mother and try to help his family there. The Islamic State member he knew was someone he had known from living there and he approached the person to ask about friends who had gone missing, Donovan said. "He's not an extremist. He's not a jihadist or a terrorist," she said. "He's just a kid. We don't understand that the political situation over there is about alliances and if you live in that neighborhood, you're kind of expected to help out." Kodaimati lied to U.S. officials in Turkey because he feared if he told the truth, it would delay his return to the United States and he needed to get back to earn money to send to his mother, Donovan said. U.S. District Judge Anthony Battaglia told the court that an eight-year sentence was necessary to deter others from lying. U.S. Attorney Laura Duffy said in a statement that "this is an appropriately severe sentence that underscores the very serious nature of a crime that has the potential to jeopardize our national security." Kodaimati was born in Syria and became a naturalized U.S. citizen in September 2008. He left San Diego in December 2012 and traveled to Turkey and Syria until his return to the United States in 2015.